This hand-pulled screenprint by Kyle & Courtney Harmon *must* go up at Studiomates. Conan O’Brien is a wise man. It looks a lot like Pewter Black font. 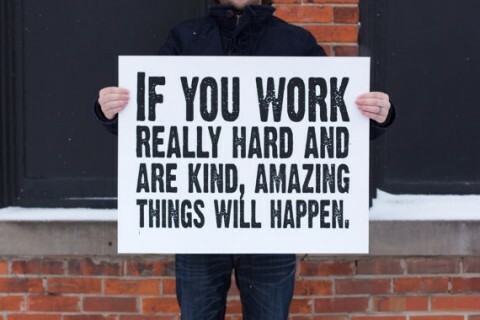 …and that amazing thing is that people who don’t work hard and are not kind will reap the rewards of your labor. Becoming wise and working smart serves pretty well, ‘tho.